Ibrox Noise: Rangers and Hibs in massive swap deal? Rangers and Hibs in massive swap deal? With last night’s breaking news that Neil Lennon is reportedly interested in Andy Halliday, we have something of another tale of intrigue upon us. Rangers want John McGinn – of that there is no doubt. The best player outside the Old Firm, McGinn is Hibs’ prize asset and has been on Rangers’ radar for some time. Naturally with his Celtic connections the assumption has long been made that he would take the trip to Parkhead, but with the east end’s embarrassing depth in midfield, he would be a completely unnecessary signature. However, so was Scott Allan – and yet they still signed him specifically to stop Rangers getting him. Hibs also categorically refused to sell to Rangers – they refuse to do business with us… until that is, we have something they want. And that’s where Halliday comes in. The 26-year old has frankly been an honourable player for the shirt – he’s one of us and he’s never let us down – sure, he isn’t really good enough, and we all know this, but he’s never held himself with anything other than dignity in his time at Ibrox and for that much we have respect for him. 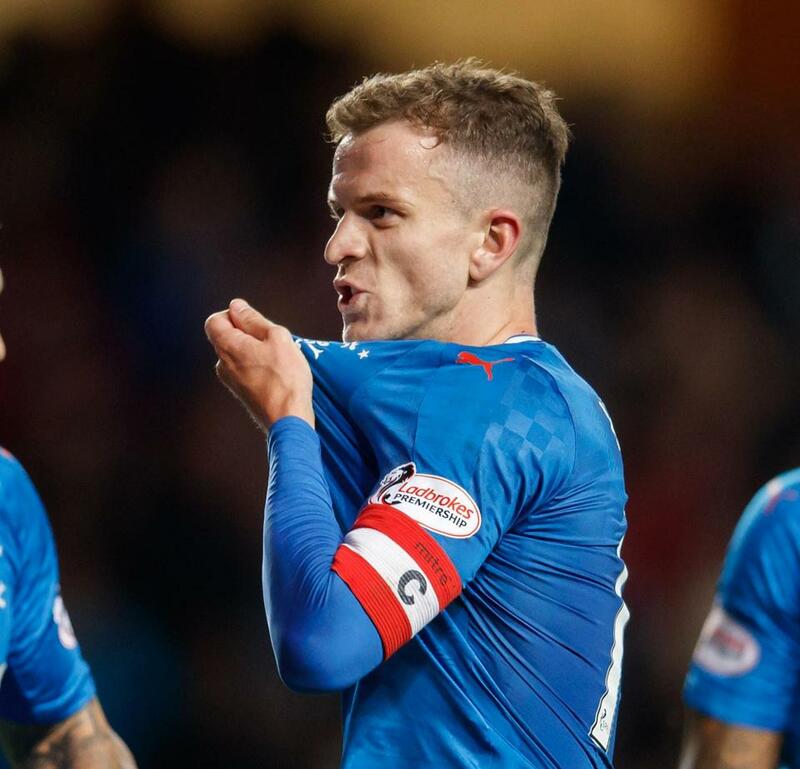 However, this would be quite a biggy – is Andy Halliday willing to switch to Easter Road to help Rangers secure McGinn? Is he willing to go to a well-known Rangers hater to help his club out? It’s all conjecture, and a touch of 2+2=5. But the facts appear to be that Rangers want McGinn and Lennon wants Halliday. It would be quite a statement from Rangers and Halliday would be an excellent makeweight in any deal. But we’ll see if the powers-that-be think the same way. Nice swap with a million on top. Maybe it’s time for hibs to realise we are bigger and to stop acting like idiots. Could you honestly picture McGinn in a Rangers Shirt,it just doesn't work,it gives me the hibeegibes no chance! Cant see this happening...unless Halliday found their was NO other clubs wanting him. Go home IN, you're clearly drunk. Why would Lennon give up his prized posession, to Rangers - of all teams - to get Halliday in return? Surely he could just offer McGinn a new contract and save lossing him? McGinn will not be coming to Ibrox. Fact. Most overrated player I've seen in Scotland in a long long time. Runs about like a burst balloon sticking his fat arse in anywhere it will actually fit. Check Rossiters back pocket he might still be in there!? Well seen the silly season has begun. Halliday,don't care where he goes he's average might be better trying down south. There certainly would never be a swap and I doubt lennon would actually take a Rangers player. I honestly don't think we will see any more Scots players signed. If I'm correct in saying Hibs didn't want to sell to a rival club in the same division on the whole Allan saga. So if they sell Mcginn to either the bears or septic it would be a complete contradiction on there part!! But money talks. Are we seriously considering giving one of our own to HIBS and Popcorn Teeth? Just to get The "Darling" of Scottish Football who supports them?! Give Hibs a Taste of Their own Medicine! Nonsense! Will never happen:not should it! Rossiter, Jack and Docherty - all fully fit and under the tutiledge of Gerrard are better bets than McGinn. I don 't sent he's a fine player but on Saturday a haft-fit Rossiter play d him off the park. We don't need McGinn!